Black-faced Cuckoo-shrike Coracina Larvata, Size 22cm According to a book a purchased, Birds of Kota Kinabalu- Borneo, there are four species of grey Cuckoo-shrikes and Wood-shrikes in the park. But the other three stay at the lower levels, the Black-faced Cuckoo-shrike is the one most likely to be found at the level I was birding. 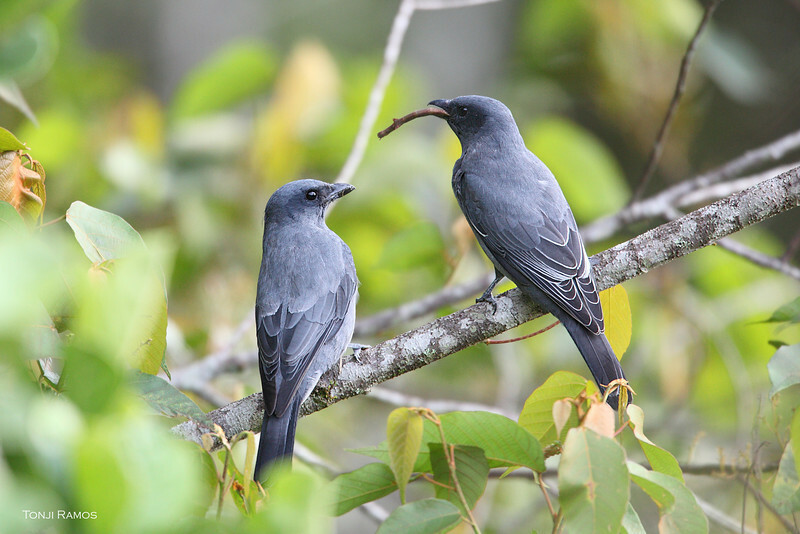 In addition the eyes of this bird are brown which also points to the Black-faced Cuckoo- shrike. These birds are noisy and not shy at all. I saw these particular birds land on the grass to get some bugs.